This post was sponsored by NOW Foods and all opinions expressed in my post are my own. Despite being made with primarily chickpeas, you can’t taste the beans AT ALL! 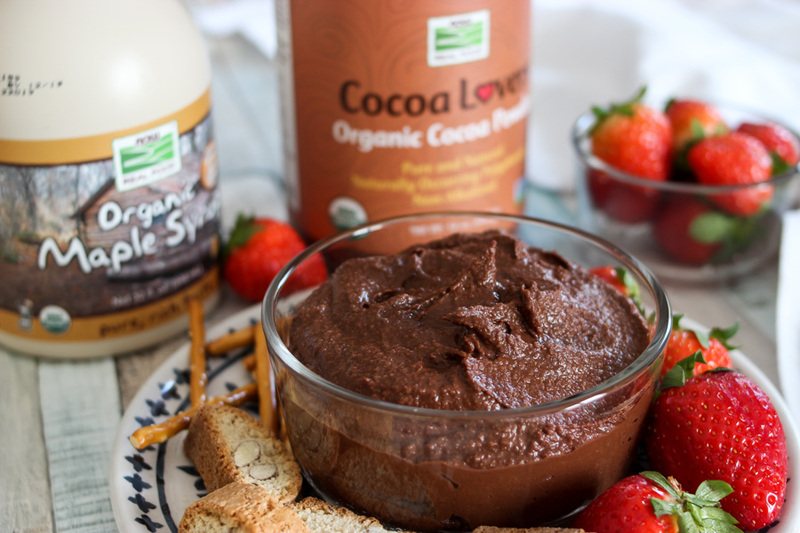 This chocolate hummus taste just like brownie batter but without all the added fats and raw egg. 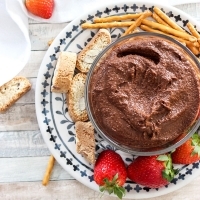 🤣 Chocolate hummus is smooth, oh-so-chocolaty and you can tweak the sweetness depending on your taste by varying the amount of maple syrup that you use in the recipe. I love dipping in fresh fruits, pretzels, mini cookies, using as a spread (toast, tortillas, etc.) or just simply eating it by the spoonful! This all came together one evening when I had a wicked sweet tooth and a major craving for some chocolate. 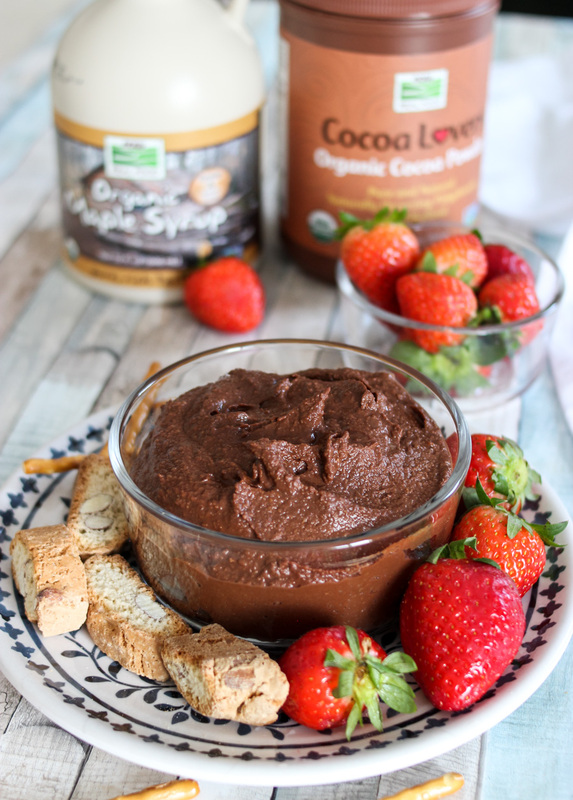 I was searching the cupboards and wasn’t finding anything that was quick and ready to eat, but saw a big tub of NOW Foods Cocoa Lovers organic cocoa powder. 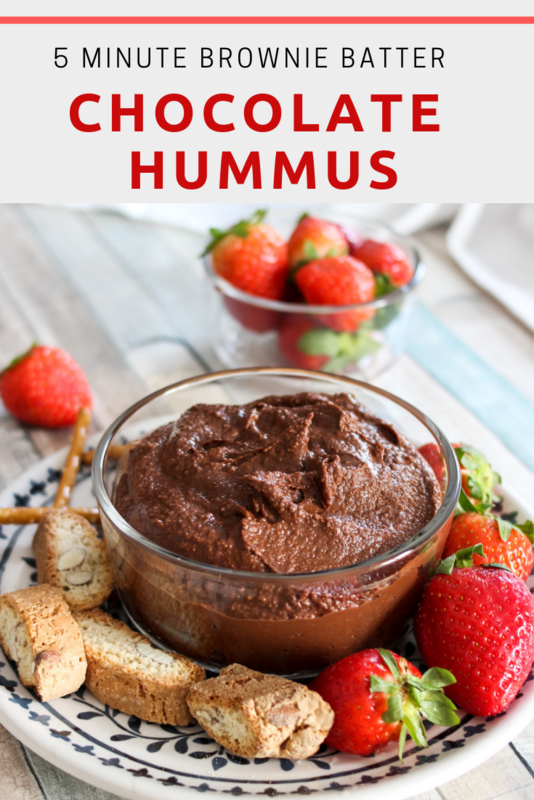 I remembered seeing a tub of chocolate hummus when we were grocery shopping earlier in the day and figured that I’d give making my own a try since the ingredient list was simple and I had everything on hand. I won’t lie…my expectations were low. 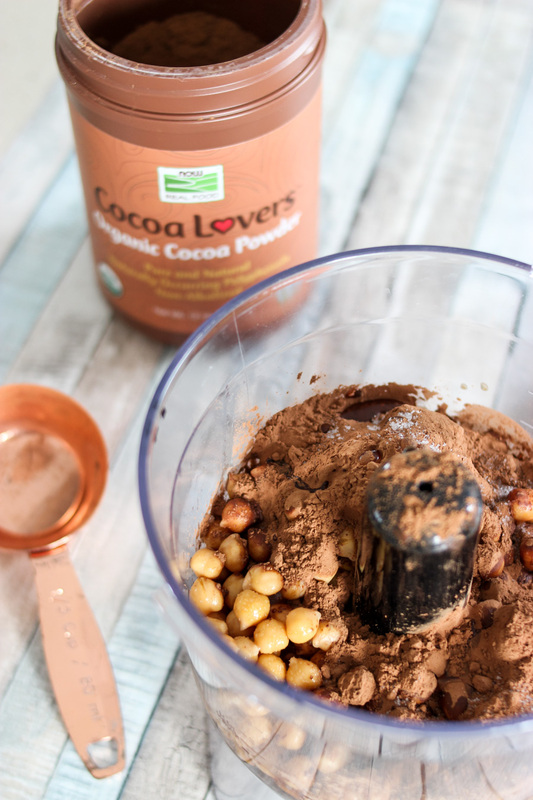 Never would I have thought that chickpeas and chocolate would come together to form such a tasty treat…but I was SO WRONG! 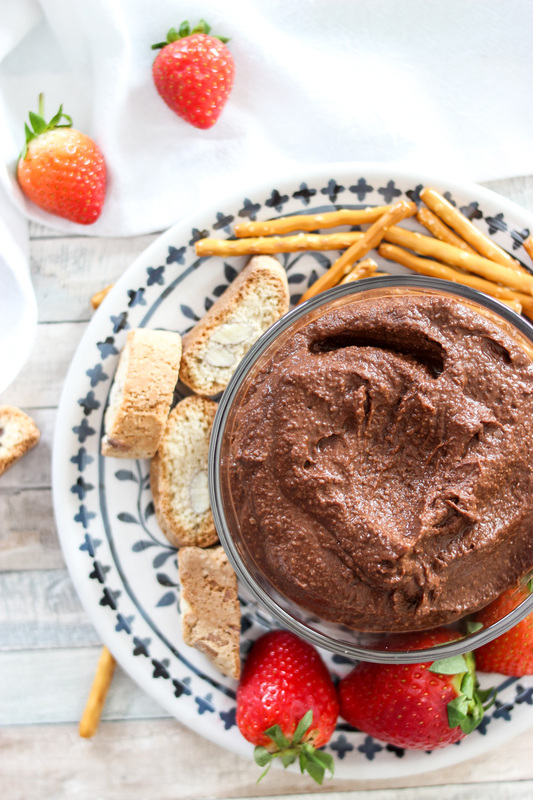 While I’ve never had store-bought dessert hummus, this chocolate hummus totally satisfies that sweet craving while still being relatively healthy and with the bonus of adding a major fiber boost and a little extra protein as well. 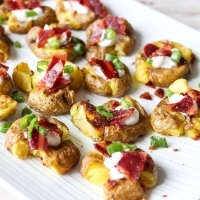 It’s made with just a handful of simple ingredients and literally takes 5 minutes to make! Sounds perfect, right? Another bonus…making your own is so much more affordable than purchasing it pre-made, plus you have so much more control over what quality ingredients are used. NOW Foods is one of my favorite products to use when baking. Their high quality, great tasting products always yield amazing, yummy goodies. 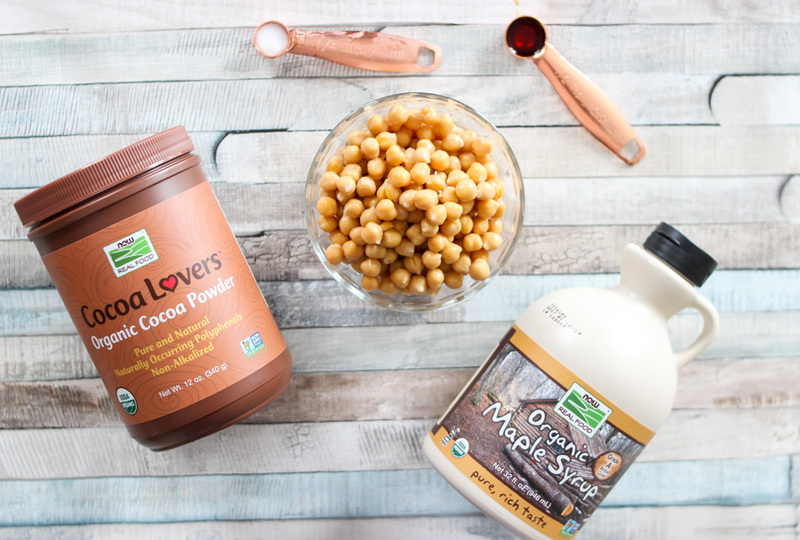 For this recipe, the use of NOW Maple Syrup allows for a delicious sweetness with a natural sweetener (I really like the flavor better than granulated sugar) and the rich organic cocoa powder (sugar, fat and preservative free) tastes amazing! 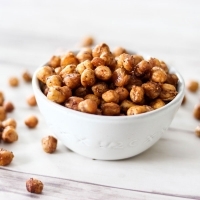 Despite being made with primarily chickpeas, you can't taste the beans AT ALL! 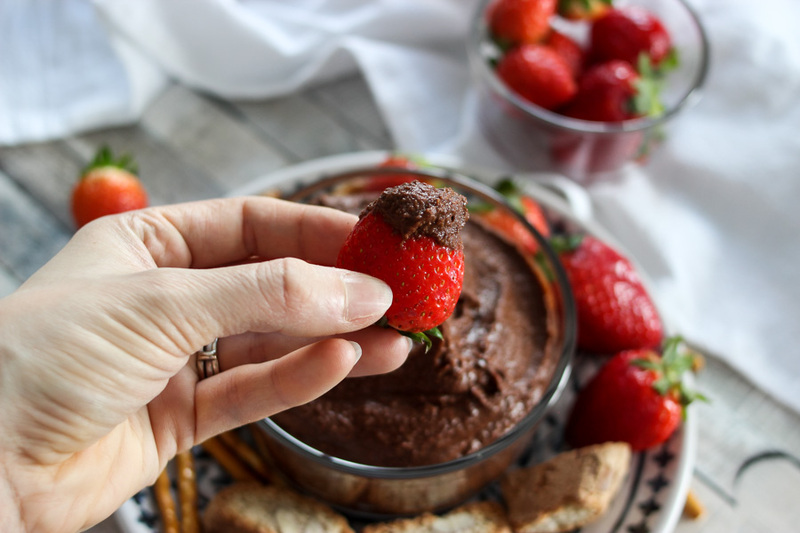 This brownie batter chocolate hummus taste just like brownie batter but without all the added fats and raw egg. 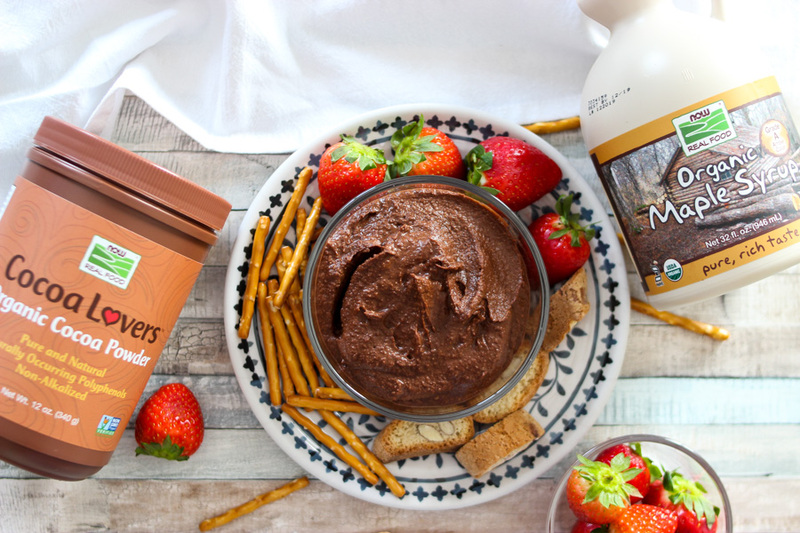 🤣 Chocolate hummus is smooth, oh-so-chocolaty and you can fine-tune the sweetness depending on your taste by varying the amount of maple syrup/honey that you use in the recipe. I love dipping with fresh fruit, pretzels, mini cookies, using as a spread (toast, tortillas, etc.) or just simply eating it by the spoonful! 2-4 Tbsp reserved chickpea liquid if you accidentally forgot to save, you can use water. Receive $10 off your nowfoods.com purchase of $40 or more (before taxes and shipping). Must use coupon code AMBERNOW10 in the Promotion Code field at checkout. Offer only available on nowfoods.com. Offer valid January 1, 2019 through 11:59 PM CT March 31, 2019. Some exclusions apply. 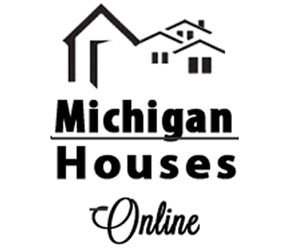 Limit one coupon code per transaction. Have you had dessert hummus before? What’s your favorite type of hummus? Sweet hummuses are always so fun to make and eat! 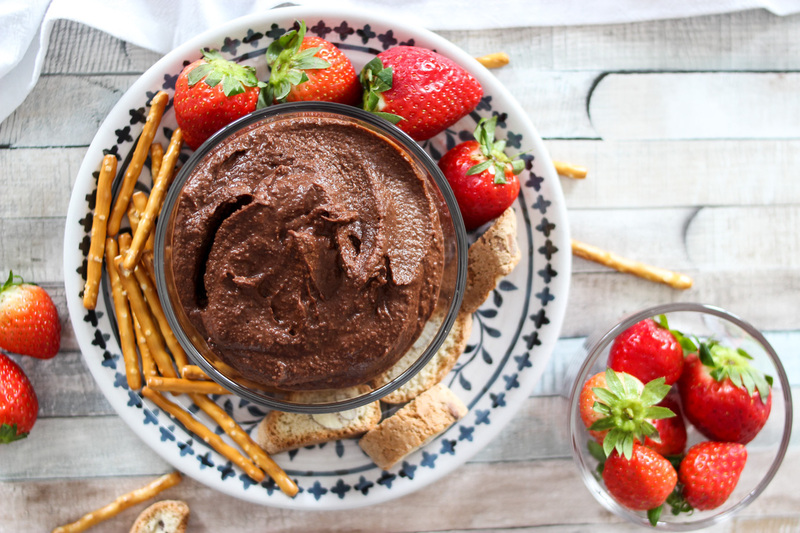 Chocolate hummus!!??? Wow, my mind is blown! That looks like such a good treat. This looks such a healthy fruit dip option. I have heard great things about this type of hummus. I can’t wait to try it. I so need to try this! You had me at “brownie batter”!